Read Write Inc. Comprehension is the next step in developing children's composition and writing skills once they have become confident readers. The programme offers 30 weekly modules, specially written to link reading, writing, comprehension and guided composition activities to carefully levelled texts. Suggested routes through the modules, and synopses of all the associated texts are also included in the handbook for this series. 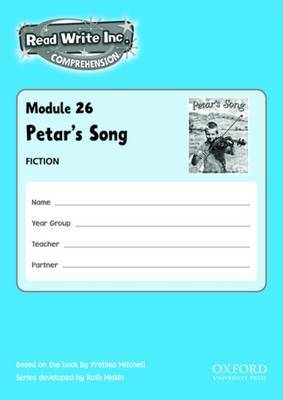 14 of the modules contain a full non-fiction text or story to support the activities. 16 of the modules are linked to illustrated children's books which can all be purchased from Oxford University Press in the same way as the module packs.